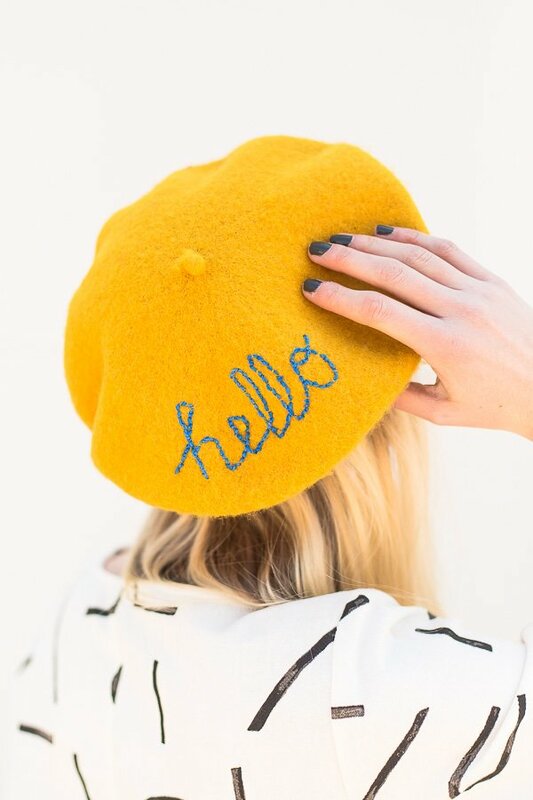 Berets are popping up absolutely everywhere recently. 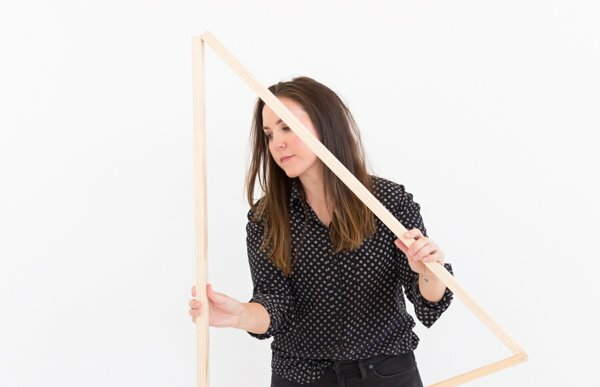 And with so many affordable options out there now, it’s the perfect backdrop for a DIY project. 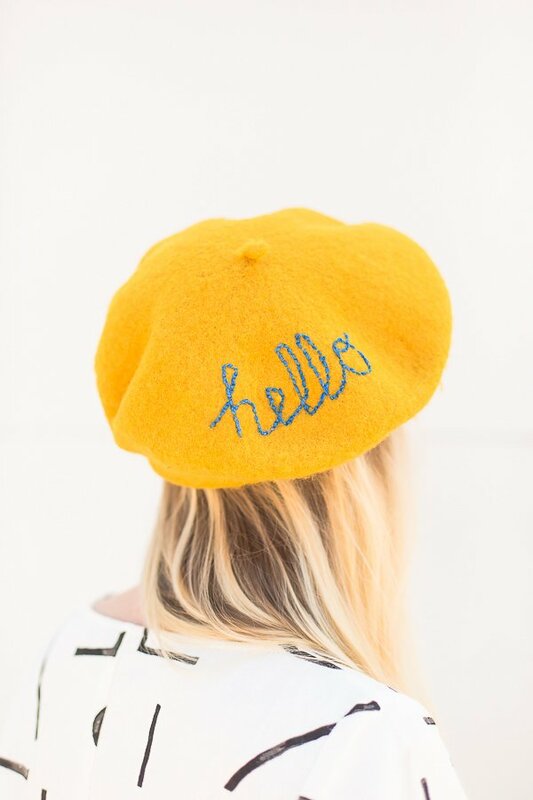 So, today I’m sharing this embroidered DIY ‘hello’ beret to kick off the week. Click through to see how it was made and create your own. For this project, all the lettering was freehanded, but if you’d feel more comfortable with a guide, use this tutorial to create you own: how to embroider any design on clothing without messing up. Start by threading a needle with embroidery floss. I like to double up the embroidery floss for a thicker, easier-to-read line. Then, triple knot the end, before poking through the underneath side of the beret where you want to start the hand lettered embroidery. 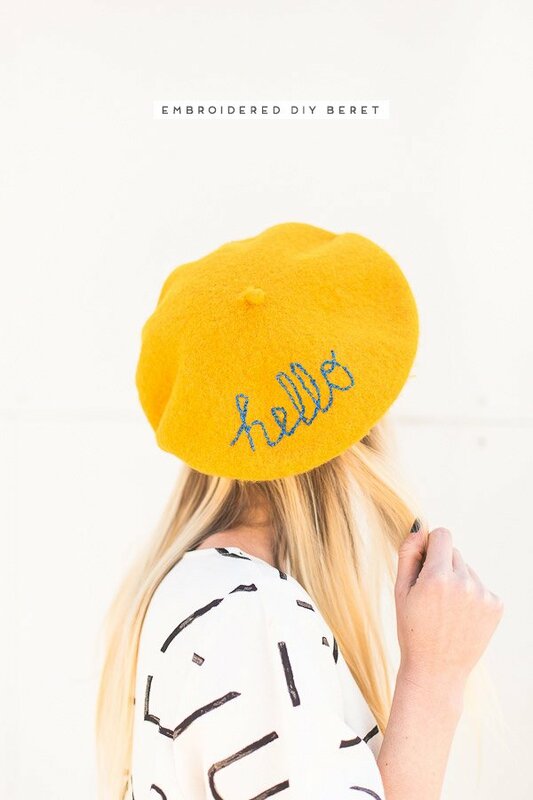 Create short, even stitches to make your design (or in this case a word or message). Once the design / word / message is complete, tie a triple knot on the inside of the beret to secure the remaining end. 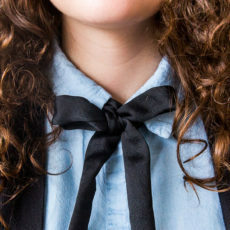 Then, cut off any excess embroidery floss with scissors. That’s it! Now, it’s ready to wear! Take it further: Messages not your thing? Try something else, like a line drawing for example. I have a face template right here if you want some inspiration: face line drawing printable. 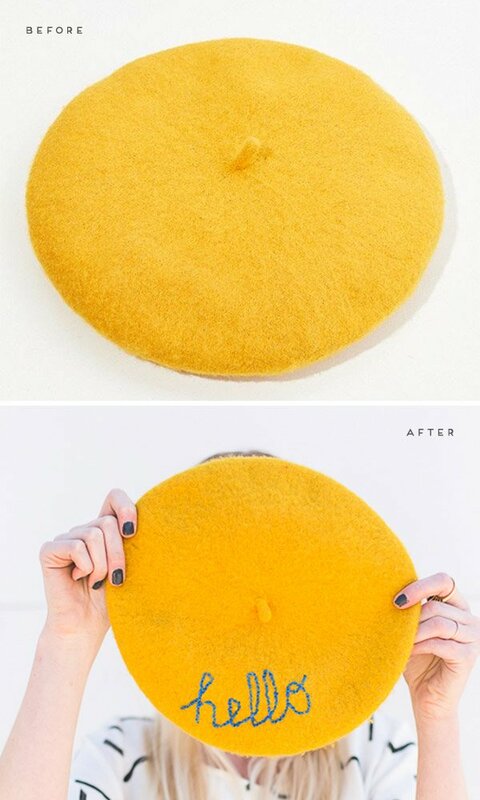 What do you think of the beret trend? Are you a fan or are you over it already?! Let me know! That beret is so cute! What a wonderful idea, I really like the color contrast of yellow and blue! Thanks Michelle. The yellow and blue are a fun color combo, right? Thank you so much for sharing such a cool idea. Nice idea! Maybe can change to Bonjour or something, very cute.